Author: Rabbi Dovid Sears Description: One of the most intriguing images of Rebbe Nachman's classic story, "The Seven Beggars" Equally intriguing is the hero of this story within a story,the beggar with no hands, who is able to penetrate all ten walls of water and save the princess within.but Rebbe Nachman's goal in telling this story is not just to entertain.What is the real meaning of the Water Castle? 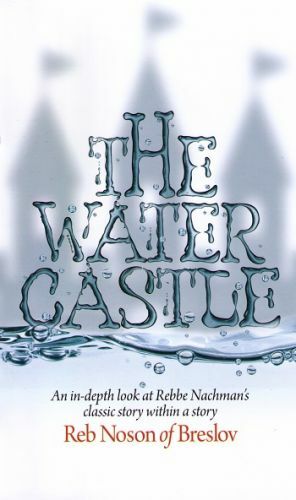 Reb Nosson, the Rebbe's main disciple,unlocks the mystery in his original teachingsbased on Torah and Kabbalah.In classic Breslov fashion,he takes in the sweep of time from the act of creation all the way to the present,showing us how the secrets of the Water Castle impact our lives today. Publihing data: BRI Israel 2014 256 pp. SB 6x8" Also contains the original Hebrew text of the story.